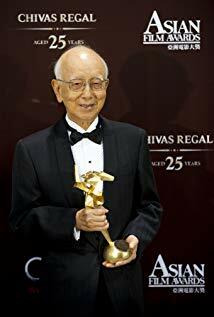 1 2 "Raymond Chow, Hong Kong producer who found Bruce Lee, dies". The Guardian . Associated Press. 2018-11-03. Retrieved 3 November 2018. ↑ "Raymond Chow, film producer behind Bruce Lee, dies at 91". Irish Independent . Retrieved 3 November 2018. ↑ Boucher, Geoff; Pedersen, Erik (2018-11-02). "Raymond Chow Dies: Iconic Hong Kong Producer Launched Bruce Lee & Jackie Chan". Deadline Hollywood . Retrieved 3 November 2018. ↑ Williams, Trey. "Raymond Chow, 'Enter the Dragon' and 'Police Story' Producer, Dies at 91". MSN.com . Retrieved 4 November 2018. ↑ Teo, Stephen (2009). Chinese Martial Arts: The Wuxia Tradition. Edinburgh: Edinburgh University Press, pg. 111. ↑ Po-yin Chung, Stephanie (2009). "A Chinese movie mogul and the transformation of his movie empire—the Loke Wan Tho family and the Cathay Organisation in Southern China and Southeast Asia (1915–2000)". Asia Europe Journal. 7 (3–4): 463–478. doi:10.1007/s10308-009-0233-3. ↑ Suryadinata, Leo (2012). Southeast Asian Personalities of Chinese Descent: A Biographical Dictionary. Singapore: ISEAS Publishing/Institute of Southeast Asia Studies. ISBN 978-981-4345-22-4. ↑ Tsui Hark and Bey Logan (2002). Zu Warriors from the Magic Mountain, commentary track (DVD). Hong Kong Legends.